Founder of anti-Semitic website promises 'more guns and more guests' at planned event, which is slated to include Hamas terrorist. 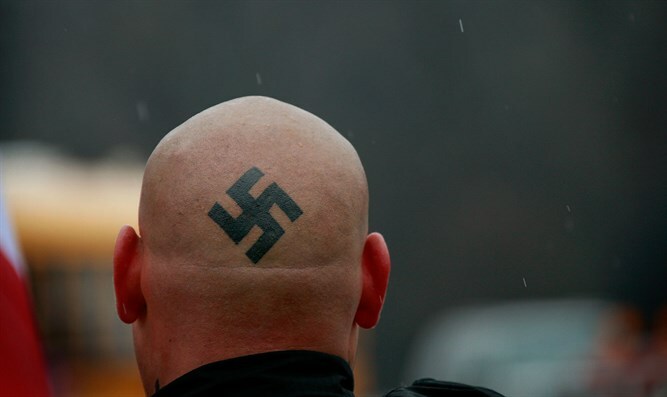 JTA - An armed march by neo-Nazis intended to harass the Jewish community of Whitefish, Montana has been postponed after the white supremacist organizer failed to obtain a city permit. Andrew Anglin, who runs the neo-Nazi Daily Stormer website, announced Wednesday evening that he would not hold his march scheduled for Monday, Martin Luther King Day, because he has not yet obtained a special event permit from the city of Whitefish. “We’re going to do it,” Anglin told ABC-Fox Montana in an interview held on Skype. “We’re not canceling the march. We’re postponing it due to the fact that if they’re going to deny the permit in the first place, then what are they going to do when we show up to the march? I don’t want to see a bunch of people get arrested. I don’t want to see any kind of problems. “Winning a federal lawsuit against the city would be an even bigger victory than the march itself,” Anglin wrote. Whitefish city officials remain concerned that marchers may still show up on Monday. City manager Chuck Stearns told the local TV channel KPAX that the city would be ready if any marchers arrive. Whitefish is home to white supremacist leader Richard Spencer, president of the National Policy Institute, a white supremacist think tank, as well as his mother. In November, Spencer spoke at a white supremacist event in Washington, D.C., celebrating President-elect Donald Trump’s victory in which he called out “Hail Trump!” and was greeted by Nazi salutes. The Daily Stormer published a blog post last month calling for followers to “take action” against Jews in Whitefish by writing and calling them with anti-Semitic messages. The post claimed that Jewish residents were “threatening” the business run by Spencer’s mother in the town. Montana lawmakers and faith leaders have issued statements in support of the Whitefish community.